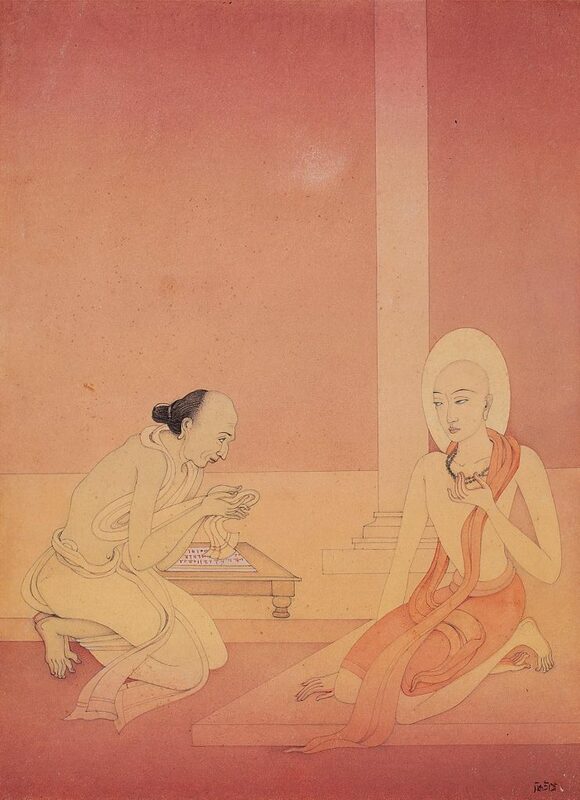 KshitindranathMajumdar is often referred to as a saint-artist who considered art as a form of devotion. The artist was strongly influenced by Sri Chaitanya’s Vaishnavism, trained in hymn singing, interpreted legends from Indian epics and Puranas, and participated in drama productions. 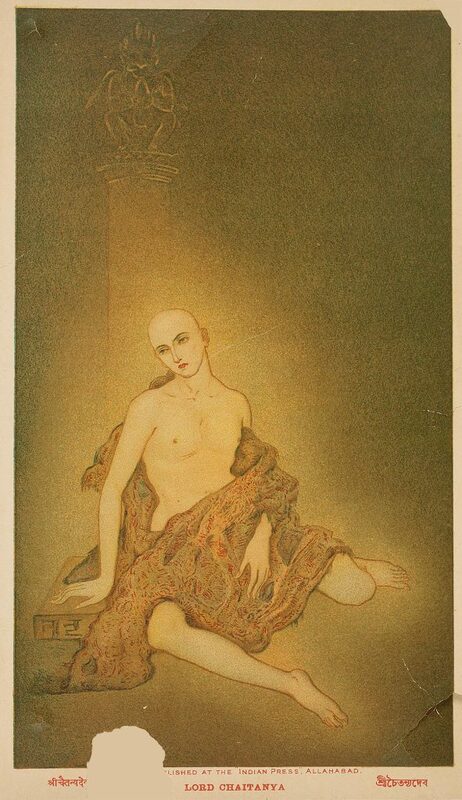 Hailing from Nimtita in the Murshidabad district of West Bengal, he became a student of Abanindranath Tagore in 1909, when the latter was associated with the newly formed Indian Society of Oriental Art in Calcutta. Later, in 1912, Majumdar, along with Nandalal Bose, took over the responsibilities of teaching at the Society which continued till 1930. 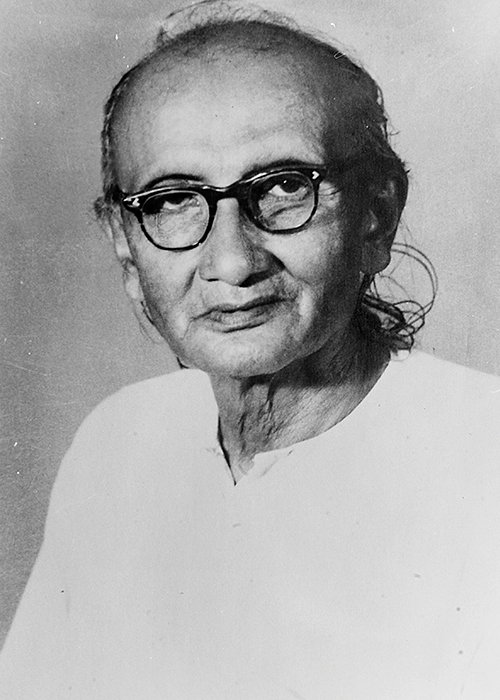 At Santiniketan too, Majumdar engaged himself with teaching while implementing the artistic and aesthetic principles inherited from his mentor. Following Abanindranath Tagore’s delicate, romantic style seen in his pioneered watercolour wash works, Majumdar took it further with inventing dresses and drapery for his figures that carried suggestions of the fresco art of Ajanta and Rajput paintings. He chose for his subject matter paintings from mythological narratives and Puranic stories reflected through his own interpretation. 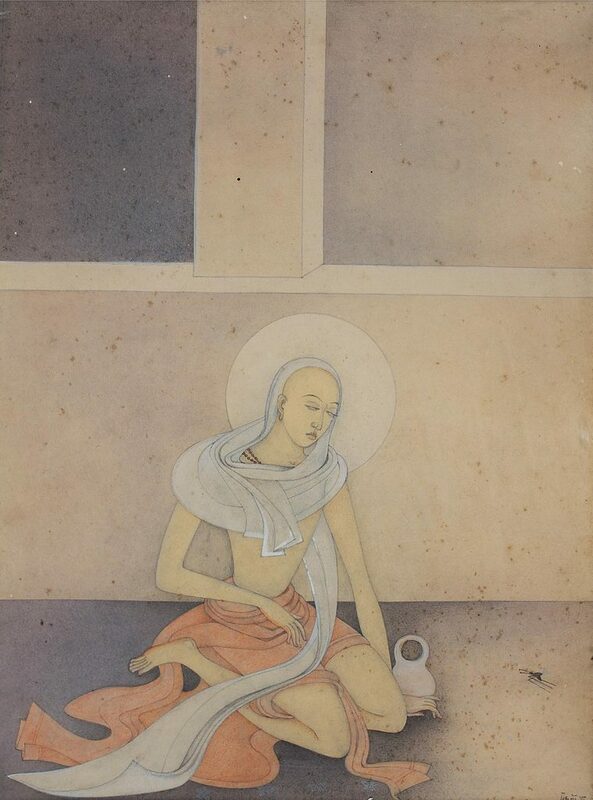 He charged his paintings with his own perception and understanding of bhakti and aimed at a pure and transcendental expression through a layering of hues by his distinct wash technique. Deeply rooted in his own tradition, Majumdar continued the trend of revivalism by evolving an art form rooted in traditional Indian modes of image-making and reflecting the spiritual world. One of the most significant Bengal School artists, Kshitindranath Majumdar’s works are known for their air of delicate grace and are highly coveted.